If your outdoor equipment has a 2-cycle engine, it runs on a mixture of oil and gas. Here’s how to properly mix the fuel. Step 1: Determine the proper mixing ratio for your unit. Your equipment may vary, so always check your manual for the correct ratio and detailed instructions. Step 2: Mix fuel in the gas can. Never in the fuel tank. Step 3: Pour the mixed fuel into the tank. You’re all set. 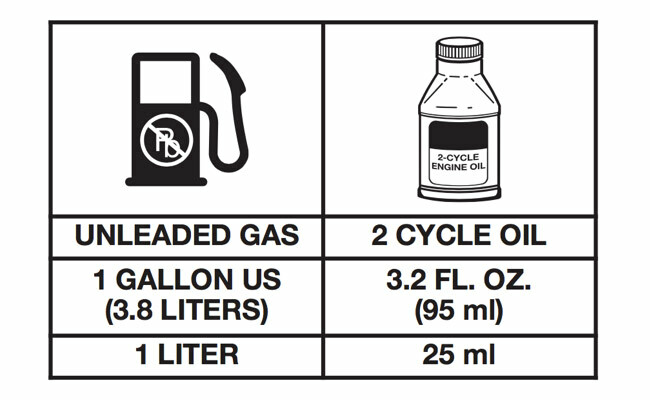 Use the same fuel mix ratio and repeat the process next time you need to fuel up.